West of Ballater lies Balmoral Castle, the Queen’s Highland holiday home, screened from the road by a thick curtain of trees. Built for Queen Victoria in 1855 as a private residence for the royal family, it kicked off the revival of the Scottish Baronial style of architecture that characterises so many of Scotland’s 19th-century country houses. The tour is very much an outdoor one through garden and grounds; as for the castle itself only the ballroom, which displays a collection of Landseer paintings and royal silver, is open to the public. Don’t expect to see the Queen’s private quarters! To one who has roamed o’er the mountains afar. 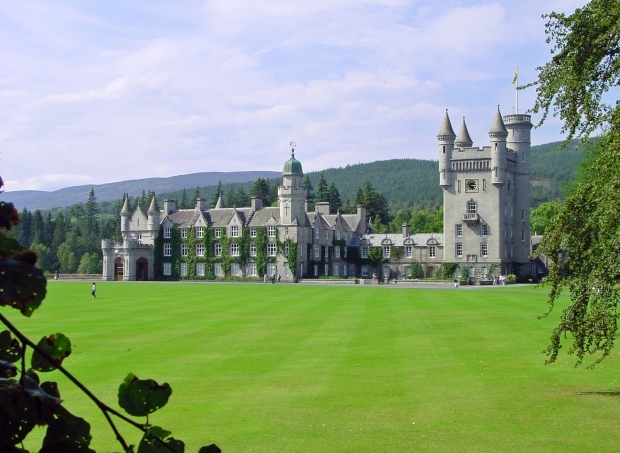 Balmoral Castle is a real must see on your tours of Scotland.